ArcTron3D is partner in a top-class international consortium which will develop new technologies of documentation and investigation of rock art, funded from the European Union’s Seventh Framework Programme for research, technological development and demonstration under grant agreement no 600545, named 3D-Pitoti. The subject of the three-year project is the impressive rock art which extends in the valley Valcamonica in northern Italy. Over 100,000 images are distributed over the 70 km long valley and date from the Copper Age up to the Middle Ages. These “Pitoti” (meaning little puppets in the local dialect) are listed as an UNESCO world cultural heritage in Valcamonica since 1979 but are still very little known outside the scientific community. 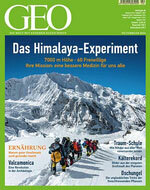 You find a contribution about the rock drawings and the project in the GEO magazine No. 02/14, “the Himalaya experiment”. In February 2016 the research project did finish. Arctron3D was not only part of the development team of the 3D-Pitoti Scanner but designed a comprehensive Rock Art database in aspect 3D. The data acquired with the 3D-Pitoti Scanner can directly be processed in aspect 3D. The database allows the user to store, edit and display the 3D point clouds and meshes. In addition, different metadata such as films, texts, pictures can be linked with the geometries. Find more information about the project at www.3D-pitoti.eu. In the issue 02/February 2014 the GEO Magazine reports about the work of the research project “3D-Pitoti” in Valcamonica/Italy. 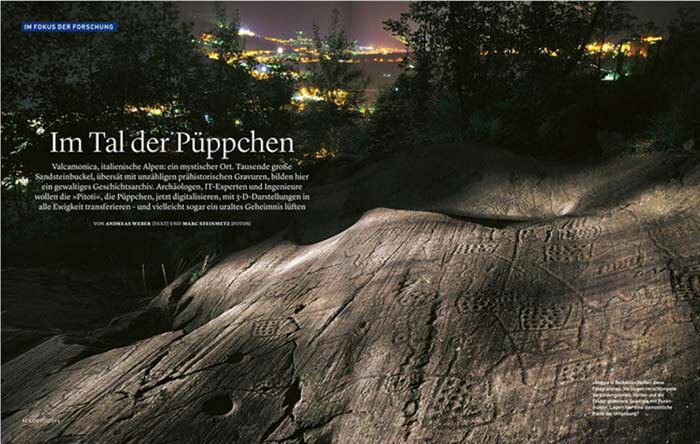 A huge archive of prehistoric engravings covering the sandstone hummocks in Valcamonica. With 3-D technology researchers are trying to disclose the secret of the "Pitoti": the little puppets from the Stone Age. This project has received funding from the European Union’s Seventh Framework Programme for research, technological development and demonstration under grant agreement no 600545.